Flex pass tickets are on sale for a musically stimulating and emotionally enthralling series of concerts performed under the auspices of the South Okanagan Concert Society. This will be the first full season to enjoy all the concerts at the new Venables Theatre. The lineup promises to meet the high standards of an exceptional venue. Don’t let the winter blahs get you down when you can join friends and come alive to an eclectic mix of performances guaranteed to brighten your spirits. First to appear on Monday, October 20th, is Quartetto Gelato. Known as the “Cirque du Soleil” of classical music they are supremely talented, deliciously smart, endlessly creative, refreshingly funny and totally surprising. 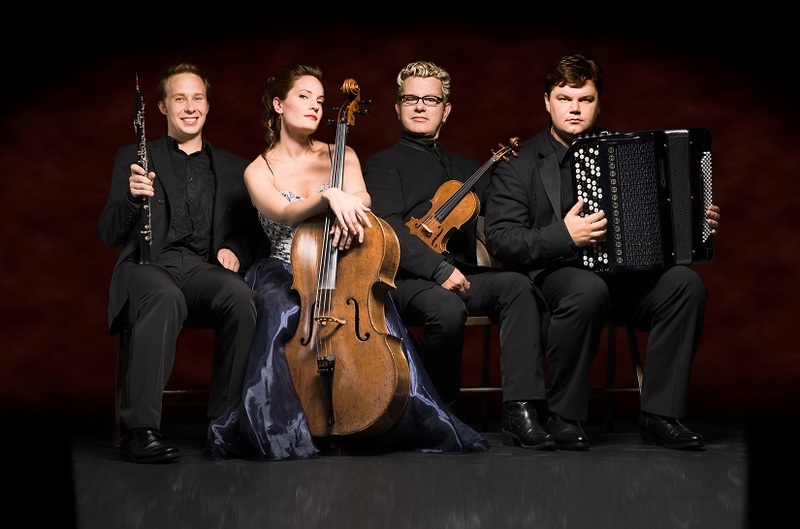 Virtuosic showpieces, romantic tenor arias, pyrotechnical solos, blazing gypsy show pieces, multi-instrument mastery and a World Accordion Champion – this is Quartetto Gelato. This quartet ‘s theatrical stage presence and relaxed humor establishes an intimate rapport with audiences world wide. They are not to be missed! For those impatient to get tickets, here is the scoop. Four admission flex pass tickets for only $70 are already on sale for the concert series at Beyond Bliss in Oliver, and Imperial Office Pro in Osoyoos or at the door. The flex ticket can be used in any combination. Four can go to one concert, snowbirds can share a ticket or one person can come to all 4 concerts. A single entrance is $20. Those students 17 and under gain admission free and those needing a ride from Osoyoos can call Maureen at 495-7978 and arrange to come by bus. All concerts start at 7:30 p.m.
What else is in store for you? On Friday, January 23rd Offramp Jazz Sextet performs. 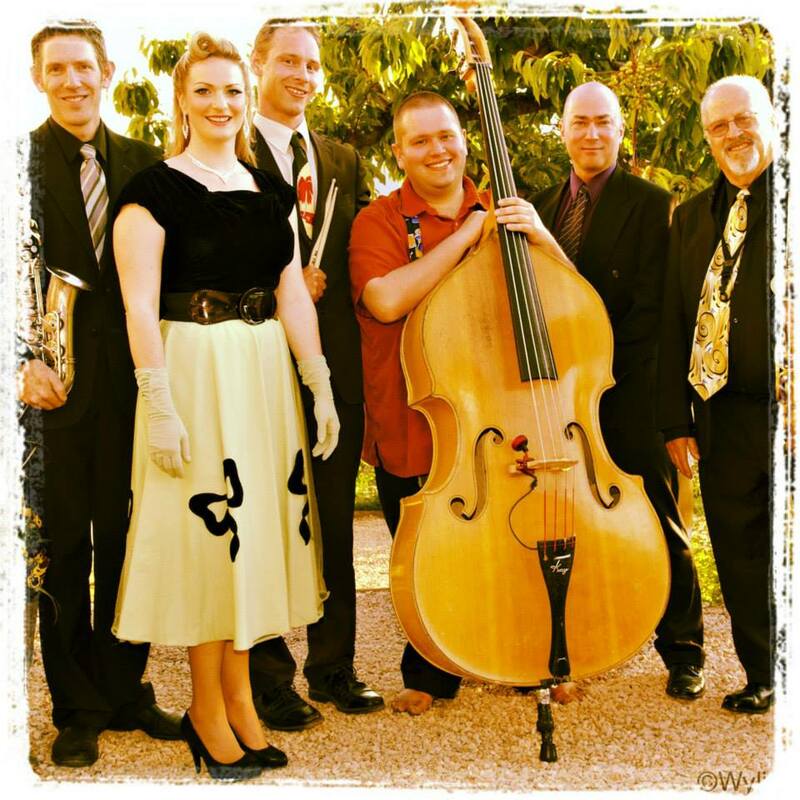 The best of the swing era and everything in between, The Offramp Jazz Sextet brings you a sampling of jazz that will leave you dancing and singing! Come and hear Duke Ellington and Count Basie, tasty Latin grooves, a bit of boogie, and some beautiful ballads. 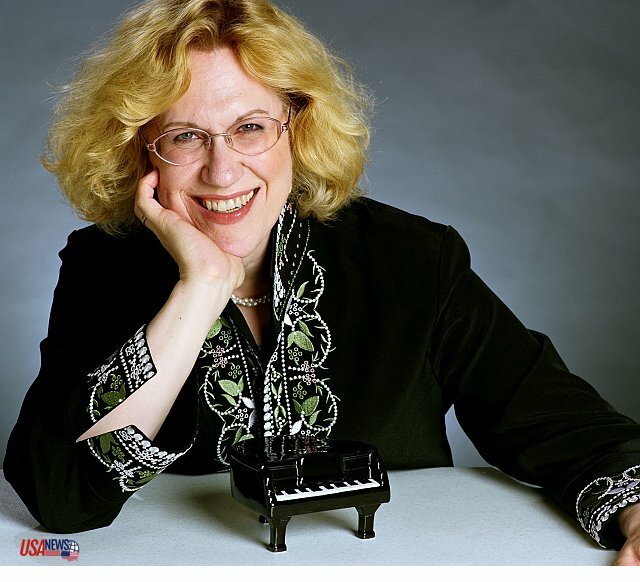 On Friday, February 20th, pianist Sara Davis Beuchner returns to our stage and we will hear our lovely new grand piano finessed by one of the leading keyboard artists of our time. Sara is a dazzling pianist and a witty speaker who creates an intimate connection with her audience. Her vast piano repertoire ranges from J.S. Bach to contemporaries. Ironclad technique allows her to interpret music “with a masterful blend of rigor and authenticity and the seductive lightness of charm.” Anyone who heard her perform here in 2011 will be back for more! QuintEssence will be on stage for the finale of the season on Friday, March 27th. Featuring four internationally renowned vocalists and pianist, Tina Chang, QuintEssence offers a fresh, innovative concert experience for lovers of classical music of any style. Their concerts showcase cherished opera repertoire and exotic musical gems by songwriters spanning from Shubert to Poulenc, Britten to Heggie, and Gershwin to Weill. They will dazzle you with vocal pyrotechnics, melt your heat with beautifully sung poetry and stretch your musical frontier to the limit with adored music from off the beaten track. The South Okanagan Concert Society invites each and every one of you to get your tickets and join us for the 2014-2015 concert series so the pleasure of good company and good music will be yours.